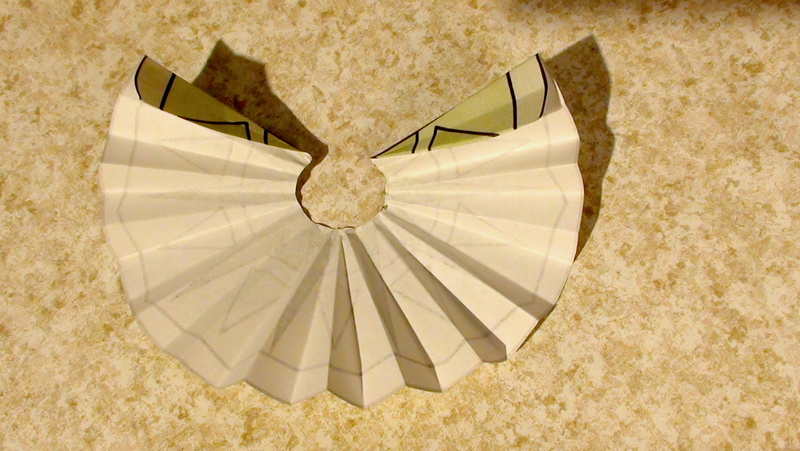 To make a cape prepare a small circle and cut along one of the folds. Fold the ends of the cape to the inside. See if there is a design element you want to incorporate. 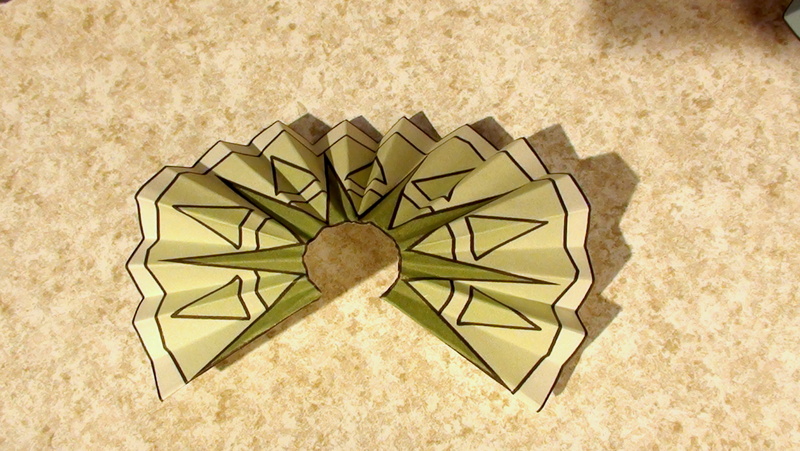 I folded along the edge of this design. Wrap the cape around the doll’s neck with the opening in the front. With a small piece of tape with the sticky side facing toward you slide it under the cape and press to both of the cape’s edges to hold the two sides together.